Also known as ‘Hookah’ – Shisha is the type of tobacco widely used with hookah to smoke with different flavours. Its current origin is still a myth as Egyptian-Arabia has its own way of contribution, but the most authentic history goes back all the way to the Middle-Eastern Mogul dynasty where a man by the name of ‘Abdul-Fath Gilani (d.1588), who was Persian physician of Mogul Akbar, studied and invented shisha in India. 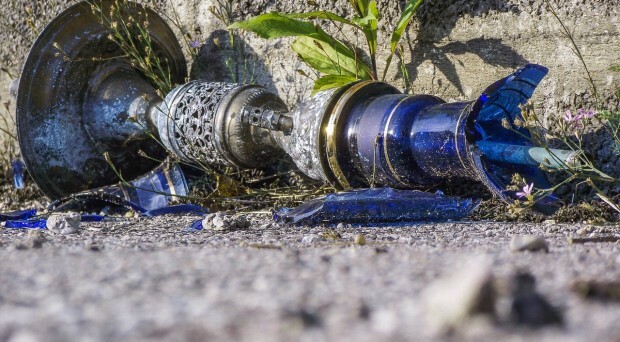 Throughout the time, the flourishing legacy of shisha has continued to embark on an international journey, by commonly being used around the world. Here’s the list of top 5 Edgware road Shisha bars that will blow your mind away with the seasoned smoke. Named after a Syrian city – Aleppo Café is by far, one of the best and most crowded shisha bars on Edgware Road. It has every ingredient to lighten-up the mood of everyone who loves to spend leisure time by smoking shisha. It also hosts exquisite belly dance to exaggerate the theme. This place is generally recognized to be booked for indoor parties (Arabian mostly). However, the environment is in total contrast to culture and tradition of Aleppo City in Syria. 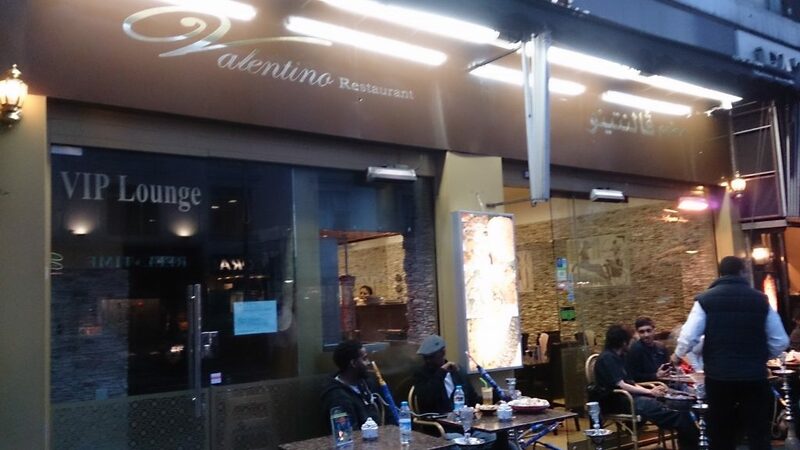 Not entirely a Shisha bar – Valentino is a restaurant that offers a variety of delicious, mouth-watering Persian food. Their menu covers most of the middle-eastern dishes. 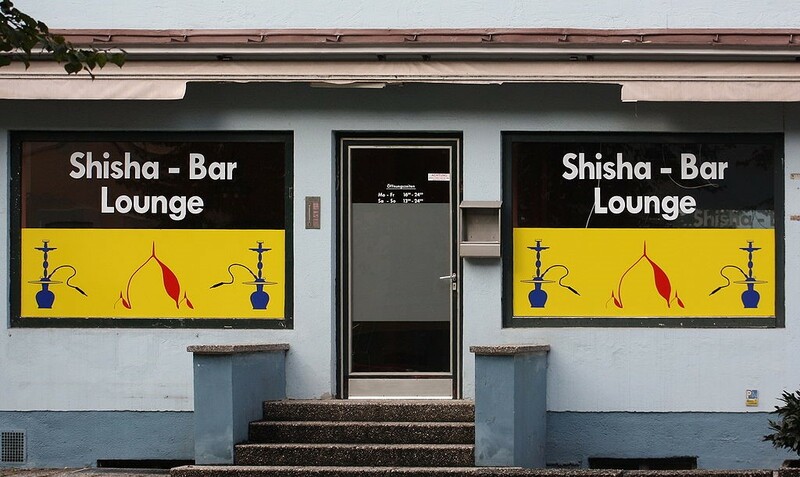 Shisha is more like a compliment here where you can ask to be served with reasonable price. 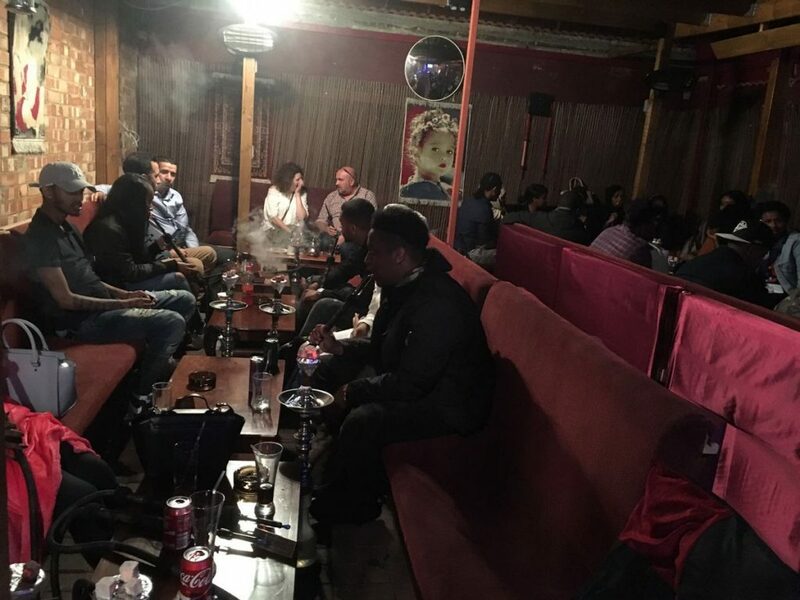 However, as mentioned above, the restaurant is a family place and is not authorized to publicly offer shisha. If you’re looking for a fine-out-of-the-world Persian dishes with Shisha at the end – this could be the best place for you. Superb cultural cuisine with a best casual sitting arrangement for shisha – Dar Marrakesh is a Moroccan restaurant located in the midst of Edgware road. The word ‘Dar’ is translated as ‘door or house’ in Persian-Urdu language whereas Marrakesh is a city of Morocco. The place has been a common spot for hosting Persian-Arabian weddings. If you’re looking for a shisha café with best on-spot grilled meat, fresh juices, and hot & cold mezze in the middle of the night – Shishawi is open 24 hours a day. It is an Egyptian restaurant and Shisha bar with traditional handy food that everyone can enjoy. Unlike other shisha bars, they don’t serve alcohol or intoxicants with shisha which sadly has become a convention nowadays. Looking for a place to site in open with Shisha in one hand? 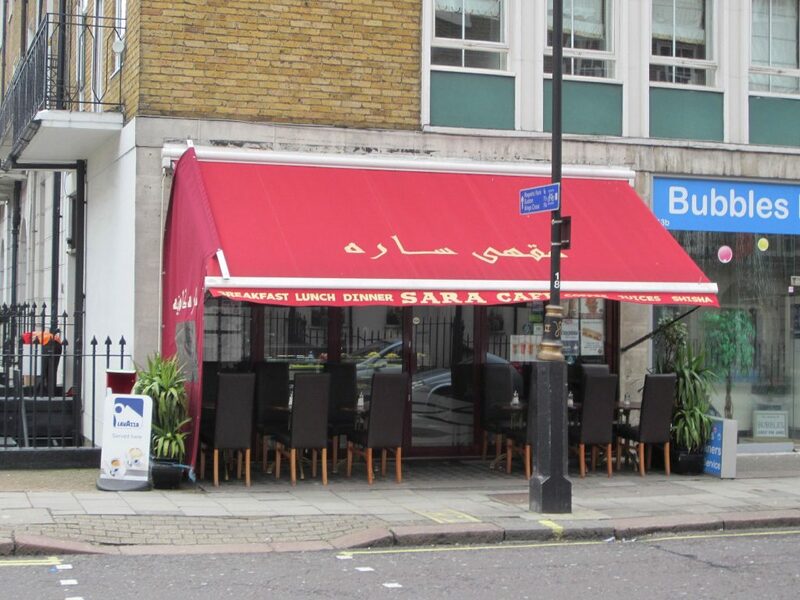 Sara Café is widely-known jam-packed café that serves minor refreshments with the main course of Shisha. It is a proper shisha bar that provides Egyptian tobacco with shisha in different flavours. The significant -part of the café is the meeting section where people of the different profession can conduct a casual meeting along with enjoying shisha. **DISCLAIMER** Shisha is extremely injurious to health and causes ten times damage than cigarettes. Therefore, the article is not about the promotion of Shisha but to enlighten locals about how these intoxicants are spreading in the society. Despite its Middle-Eastern origin, hundreds and thousands of religious scholars (mainly Islamic Scholars) from Middle-East, Asia, and Europe have launched verdict about it being illegal and should be banned.